Combination of traditions, modern technologies and innovative standards marked another successful project completion of PET Technologies with AQUA-PREMIUM LLC. PET Technologies has finished unique project for AQUA-PREMIUM LLC. TM VODA UA is a combination of style, beauty and health. 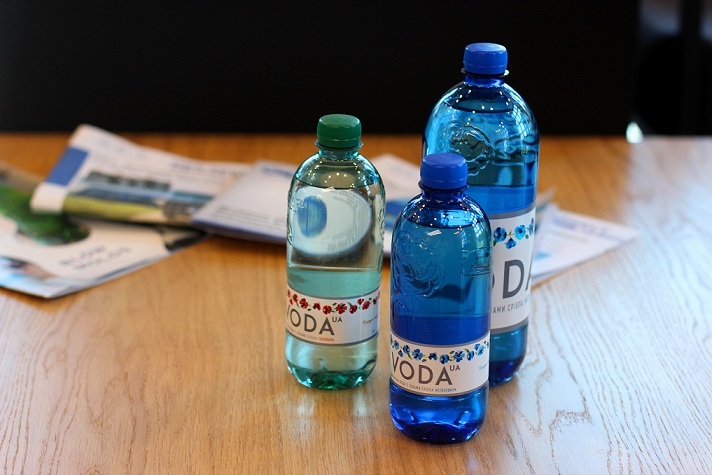 High quality of TM VODA UA spring water is confirmed by corresponding certificates, stylish bottle with poppy flowers emphasizes the company’s image. TM VODA UA belongs to premium segment, its outstanding design makes the brand recognizable in the market. Main task of the project was to adapt glass bottle design of TM VODA UA to the properties of PET material in three bottle volumes – 0.5, 1 and 1.5 liters. At first sight it is hard to distinguish PET bottle from its glass prototype – the PET bottle bottom is flat and repeats the shape of the glass one. Bottle design contains poppy flowers that have rich history in Ukrainian culture – Ukrainians identify them with youth and beauty. Besides poppy flower was traditionally embroidered on Ukrainian national costumes as sign of an unmarried young woman. In folk medicine poppy is known as a protective charm against the evil eye, it’s used to protect not only humans, but also property. Wide range of poppy flower symbolic meanings made the plant popular in Ukrainian culture. Combination of traditions, modern technologies and innovative standards marked another successful project completion of PET Technologies with AQUA-PREMIUM LLC. Simplicity and uniqueness, European quality and innovations, reliability and service. PET Technologies – element of success!